Dr Nengye Liu is a Senior Lecturer at Adelaide Law School, University of Adelaide. He was educated in Wuhan (China, LLB and LLM) and Ghent (Belgium, Doctor of Law). Prior to moving to Australia in 2015, he had worked at King & Wood Mallessons (Shenzhen, China), Singapore International Arbitration Centre, Future Ocean Cluster of Excellence (Kiel, Germany) and University of Dundee (United Kingdom, as a Marie Curie Fellow). Dr Liu's current research centres on China's role in global ocean governance, with particular focus on the Polar Regions. He has co-edited two books, published more than 30 refereed articles and book chapters in leading journals, such as Marine Policy, International Environmental Agreements: Politics, Law and Economics, Ocean Development and International Law, International Journal of Marine and Coastal Law, Journal of Maritime Law and Commerce, and presented research results in 30 countries across five continents. Dr Liu is a Chief Investigator of Australian Research Council Discovery Grant "Geopolitical Changes and the Antarctic Treaty System" (2019-2021). His research has also been supported by other major funding bodies, including EU Marie Curie Fellowship, German Research Foundation (DFG), German Academic Exchange Service (DAAD), Research Council of Norway and Research Foundation Flanders (FWO). He regularly wrote opinion pieces in various places, such as The Conversation, The Diplomat, China Dialogue, Policy Forum and Australian Outlook. His research has been covered by mainstream media, e.g., BBC, Xinhua, CGTN, VOA, The Atlantic and Strait Times. Dr Liu has held visiting research positions at universities of Cambridge, Tsinghua, Montreal, Hamburg, Lapland, Tromsø, Tasmania, Trier and Shanghai Jiao Tong. He was a Visiting Professor at the Faculty of Law, University of Lapland, Finland (September 2017) and the School of Law, Xiamen University, China (September 2018, as CHEN An Chair Professor of International Law). 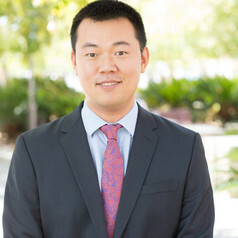 Dr Liu serves as an Associate Editor of the Yearbook of International Environmental Law (Oxford University Press) and a Review Editor of the Frontiers in Marine Science.